The Chicago Stars series is so much fun, and I was really looking forward to reading the latest novel. It did not disappoint! Piper Dove and Cooper Graham were not looking for love. In fact, they were both kind of prickly! Cooper, a just retired quarterback for the Chicago Stars, has opened a nightclub, and wants to expand to several. Piper is a private investigator, hired to check him out. When they meet, sparks fly, and not the good kind! It’s not until a third into the book, that she starts to intrigue Cooper. He slowly starts to pursue her, but Piper has a lot of baggage. Brought up by her father, Piper is not interested in her appearance, doesn’t flirt, and only thinks men are good for one thing- and she tells him that. Cooper doesn’t have a problem being that man, but her ethics get in the way, and she pushes him away. This is the classic will they or won’t they, but this author excels at telling love stories that have humor and a lot of heart. Her characters always have to overcome an internal obstacle, and in this book, I was afraid that Piper would never give in. She doesn’t see her own worth and doesn’t believe anyone who tries to convince her of it and Cooper has to be very creative in his approach. If you haven’t read the other Chicago Stars novels, don’t worry. A couple of characters make an appearance, but they aren’t pivotal to the story, so this story can be read as a stand alone novel. 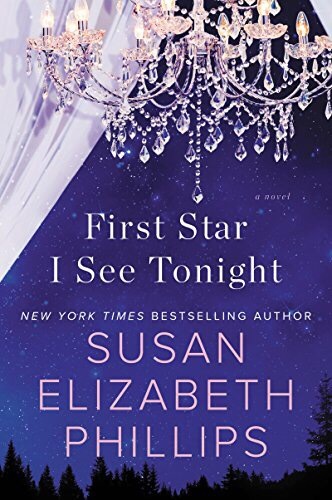 You should read the others if you haven’t, because they are just as much fun as First Star I See Tonight.